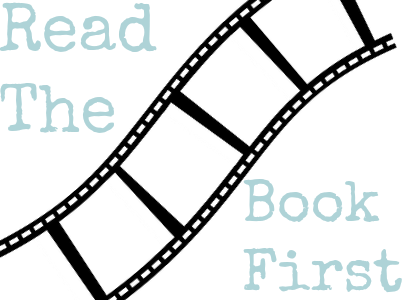 annaish: disscussion: Read The Book First? disscussion: Read The Book First? It drives me insane when people go see a movie adaptation (to a book) before they read the book. I know, a ton of people do it but I'm still going to read the book before I see it's movie adaptation. The book is always better and I always enjoy the book better! Pretty simple. Hollywood can't make a perfect movie adaptation to a perfect book. For example, Paper Towns by John Green-- my favorite John Green book. I saw the movie and I stormed out of that theater with steam coming out of my ears. It was terrible! But, the worst part? I went to see the movie with my father and now, he won't read the book because the movie was bad. People won't read the book if it has a bad movie adaptation, like my father. It's so sad. Hollywood can't get their act together. So let's talk about this, what if your favorite book becomes a movie? YIKES. For example, Percy Jackson & The Olympians: The Lighting Thief. Horrible movie--I didn't even finish that movie. The people who read Percy Jackson were devastated. I'm currently freaking out because The Scorpio Races is becoming a movie. I'M SO SCARED BUT EXCITED??? What if it becomes a great movie or what if it doesn't? UGHHH. Anyway, my whole point is that Hollywood doesn't do a great job with book to movie adaptations. I don't really mind when people watch movies before reading books because I'm used to it. None of my friends read, so whenever we go see the latest movie they've usually not read the book. I used to care a lot, but now I kind of just leave it to their choice. Some people can be film fanatics as opposed to book fanatics and vise versa. Awww you didn't like Paper Towns? It's my favourite John Green book too and I really loved the movie! Ah. I normally watch movies by myself-- sometimes with my father or my whole family. They never read the books I read so I'm always pointing out what's wrong with the movie adaptation. Yeah, I didn't like Paper Towns (the movie). You're the first person I've seen who loved the movie! YES, YES AND YES. I agree! obviously Percy Jackson was the biggest movie bust of all time. that just....no. it was awful. but I actually liked the Paper Towns movie better. (dont hate me.) but I really liked the movie. and I did read the book first. I always read the book first. if a movie comes out, the first thing I do is see if theres a book version before I go see it. not because books are "better" but because they can give more details and things that you simply cannot portray in a movie. Yes. It was terrible, just terrible movie. Hahaha, don't worry. I won't hate you over a movie. YES. Exactly! I agree, Faith. Ah. Don't spend your time watching Paper Towns, it's not worth it. Oh Percy Jackson. That movie was horrible. Just horrible.